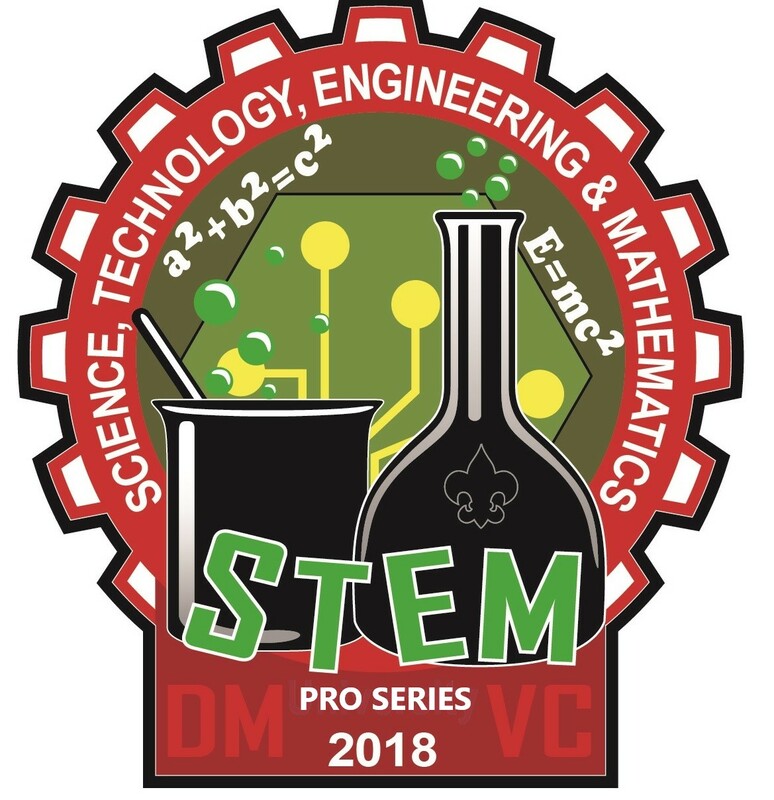 Join the Del-Mar-Va Council as they present the 2018 Merit Badge STEM Pro Series! When: Saturday, November 3rd and Saturday, December 1st, 2018. Scouts must attend both sessions to complete the selected Merit Badges, do required prerequisites, and/or meet with merit badge counselor. There are only 100 available spots- DON’T MISS IT!!!!! Click here for Event Guide! Refunds: All refund requests should be directed to Del-Mar-Va Council Outdoor Programs, 1910 Baden Powell Way, Dover, DE 19904. PARTIAL REFUNDS for Scouts not attending STEM Pro Series will be given only if the unit or family notifies the Outdoor Program Office in writing at least 14 days prior to the event. There will be no refund for cancellations within two weeks of Merit Badge STEM Pro Series attendance except for medical reasons. Partial refunds for cancellations due to medical reasons will require a doctor's note.